On Saturday we went to Lappa Valley Railway. On arrival you get your tickets, and you get into the park on a steam train. Note, there is no way to walk into the park – so check the timetable before you go (which luckily I had!) and give yourself time to get in and seated – those arriving nearer the train time didn’t get a seat and had to wait 40 minutes for the next train – and at the current time the playground at the entrance is being worked on so there is nothing to do. Once inside you are free to explore and go on anything as many or as little times as you like. There are two other railways – one a small, and quite fast, circuit that you go round twice and the other a straight line, where you get a choice to exit at the other end and use the play field, or stay on. There is also a walk back from there. Isaac (and Mummy!) liked the little one best. 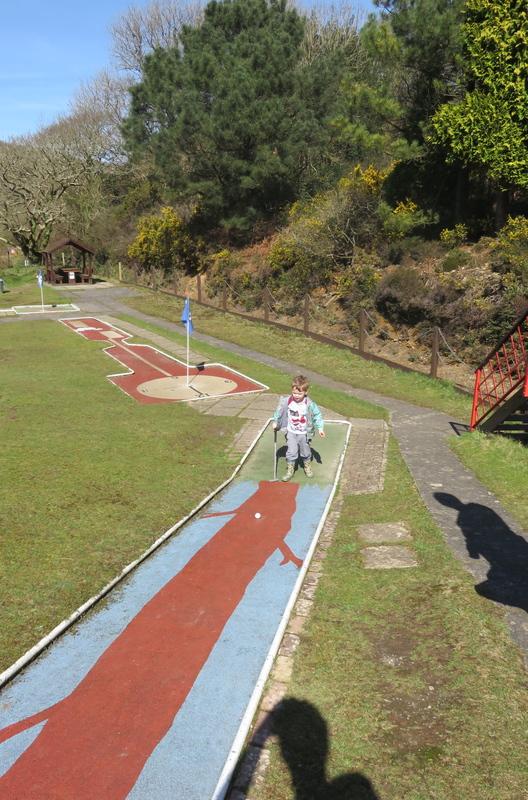 There is a 18 hole crazy golf course – although the first half are more putting holes and less crazy (unless you are armed with a pre-schooler wielding a club!). Isaac loved this, and luckily the park was quite quiet and we could wander in any order to whichever hole he chose! Some of the crazy ones are quite tough for a little one, but seemed to keep him amused. 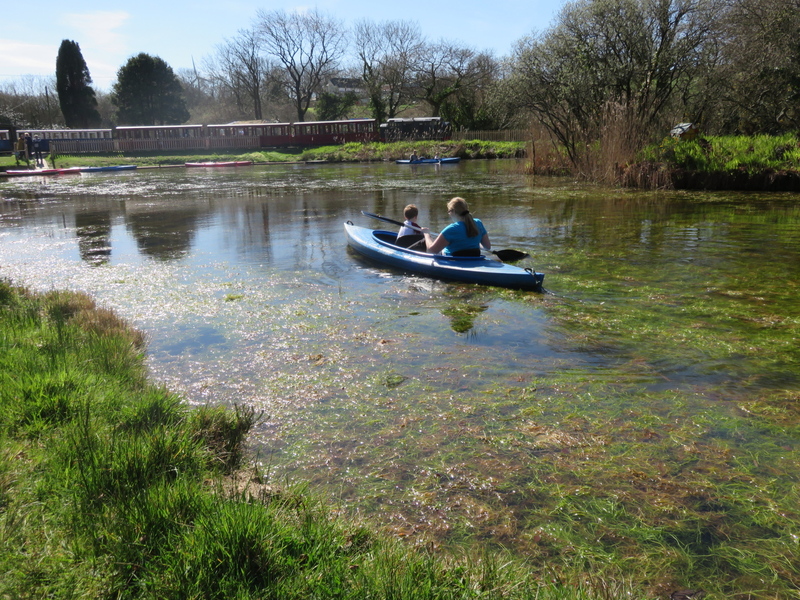 Mummy and Isaac went for a paddle on the canoes. Nice and gentle, and Isaac liked that he got to paddle too – although was a little jealous that Mummy got the big paddle. There was no times or route, or people forcing you into life jackets so all seemed relaxed and good fun. We ate at the cafe – not a huge selection, but a few hot choices (jacket potato, sausage roll etc.) plus a selection of sandwiches and the typical kids “lunch box” you get most places. Prices were in line with most places, so probably worth bringing a packed lunch and just supplementing with essential icecreams if you want to save some money. Overall, a great place to visit with younger age children, but probably wouldn’t be enough to entertain older ones for long. At this time of year for their “Winter Weekends” it was only £6 to get in which was a bargain – I think that about doubles from 1 April onwards. This entry was posted on 26 March, 2017 at 6:52 pm and is filed under Days out, Entertainment. You can follow any responses to this entry through the RSS 2.0 feed. You can leave a response, or trackback from your own site.